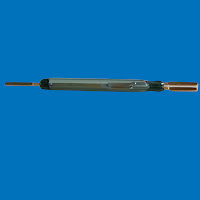 Reed Switch - Misensor Tech (Shanghai) Co.,Ltd. The Reed Switch was first invented by Bell Labs in the late 1930s. However, it was not until the 1940s when it began to find application widely as a sensor and a Reed Relay. Here it was used in an assortment of stepping/switching applications, early electronic equipment and test equipment. In the late 1940s Western Electric began using Reed Relays in their central office telephone switching stations, where they are still used in some areas today. 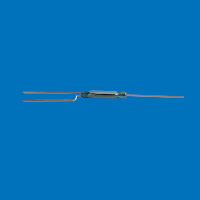 The Reed Switch greatly contributed to the development of telecommunications technology. Over the years several manufacturers have come and gone, some staying longer than they should have, tainting the marketplace with poor quality, and poor reliability. However, most of the manufacturers of Reed Switches today produce very high quality and very reliable switches. This has given rise to unprecedented growth. Today Reed Switch technology is used in all market segments including: test and measurement equipment, medical electronics, Telecom, automotive, security, appliances, general purpose, etc. Its growth rate is stronger than ever, where the world output cannot stay abreast with demand. present in the manufacture will give rise to losses, quality and reliability problems. 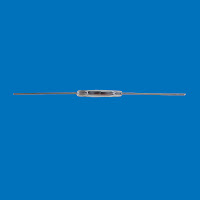 Over the years, the Reed Switch has shrunk in size from approximately 50 mm (2 inches) to 6 mm (0.24 inches). These smaller sizes have opened up many more applications particularly in RF and fast time domain requirements. AT = Ampere Turns; Parameter that describes magnetic sensitivity.